From its perch on California’s Santa Monica Pier, this tiny joint slings frozen custard that’s made fresh throughout the day. So authentic is its take on the classic dessert that the dairy is sourced straight from Wisconsin (the world’s frozen-custard capital). Options include chocolate, vanilla and the flavor of the day, which can be ordered unadorned or dressed up with toppings. 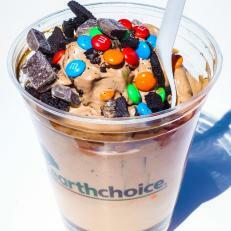 A standout is the Route 66: chocolate frozen custard studded with chocolate chunks, Oreo cookies and M&M’s.